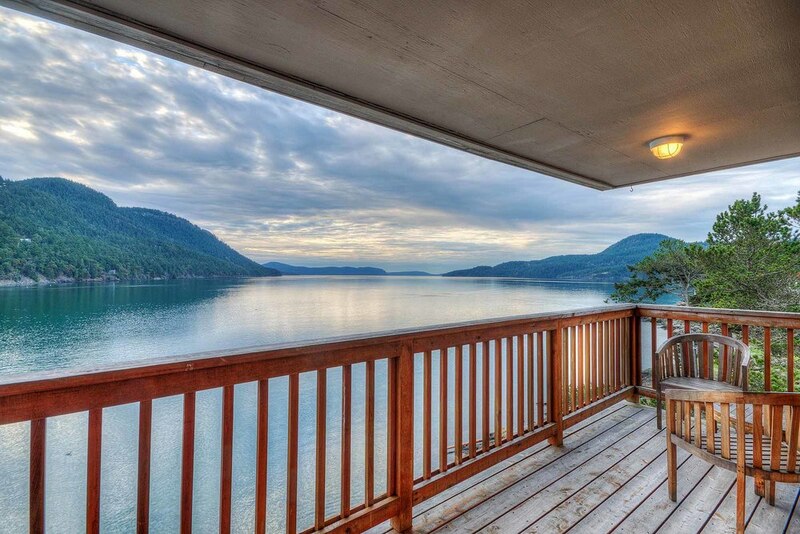 Rosario Resort's guest rooms are surrounded by the natural beauty of the San Juan Islands, with magnificent views of Cascade Bay on Orcas Island. To view room rates, please start a reservation by clicking BOOK NOW or by calling our Reservations Department at 800.562.8820 / 360.376.2222. MID-WEEK LODGING SPECIAL: Book two nights, receive the third night free! Click here for details. PLEASE NOTE: There are no guest accommodations in the historic Moran Mansion. The resort is spread out over 40 acres, so if you are coming to the resort without transportation, please consider renting a car. There is limited cell service at the resort, but every room offers complimentary WiFi and free long distance calls. Pets are not allowed in our guest rooms. Check in time is 4pm. Check out time is 11am. EXPLORE ROOMS IN DETAIL BY CLICKING THE PHOTOS BELOW. CLICK HERE TO VIEW ADA AND ACCESSIBLE ROOMS. A credit card number is required at the time of reservation. We charge your card the first night's accommodation at the time of booking as the deposit to confirm your reservation. If you cancel your stay more than 7 days prior to your arrival date, your deposit will be refunded. If you cancel less than 7 days prior to your arrival date, your deposit is non-refundable. CHECK-IN TIME IS 4 PM. CHECK-OUT TIME IS 11 AM. PLEASE NOTE: There are no accommodations in the historic Moran Mansion which houses our Restaurant, Lounge, Spa and Museum. Rates and offerings on this website are subject to change without notice. Pets are not allowed in our guest rooms. Building 1500 in our Hillside area has two chargers capable of 48 amps charging output. They are equipped with J1772 connectors. All electric vehicle owners should have an adapter enabling this charging station to be used on any electric vehicle. Please move vehicles when charging is complete so that others would be able to charge. There is a $10 charge for all guests. It is free of charge to guests renting rooms in the 1500 building (Hillside Two King Bedroom Suites). The Bayside Rooms are a short walk from the Moran Mansion and Rosario Marina. They feature one king or two queen beds with sliding-glass doors that open onto a patio or balcony offering dramatic island views. All rooms have televisions, small refrigerator, free wireless internet, coffee makers and private bathrooms. Several rooms and suites have gas fireplaces. The Waterfront Deluxe Suite features large windows overlooking East Sound. Its large deck is directly over the shoreline, and features a king bed, gas fireplace, and sitting/dining area. This suite accommodates two. The Waterfront King Rooms offer dramatic views of the Sound with a deck directly over the water. This room accommodates two. The Bayside King Rooms have partial water views and overlook the historic Moran Mansion or the Rosario Marina. This room accommodates two. The Bayside Queen Rooms have partial water views and overlook the historic Moran Mansion or the Rosario Marina. This room accommodates up to four. The Harborside Rooms are located directly on the waterfront of Rosario's Cascade Bay, offering spectacular views across the water toward the historic Moran Mansion. They are about a 15 minute walk, or two minute drive to the Moran Mansion. These rooms offer King and Queen beds. One and two bedrooms suites are available featuring a kitchenette and fireplace (presto logs supplied). The Hillside Rooms are located high above Cascade Bay, offering spectacular views across the water toward distant islands. They are also about a 15 minute walk, or two minute drive to the Moran Mansion. These rooms offer King and Queen beds. One bedroom suites are available featuring a kitchenette and gas fireplace. 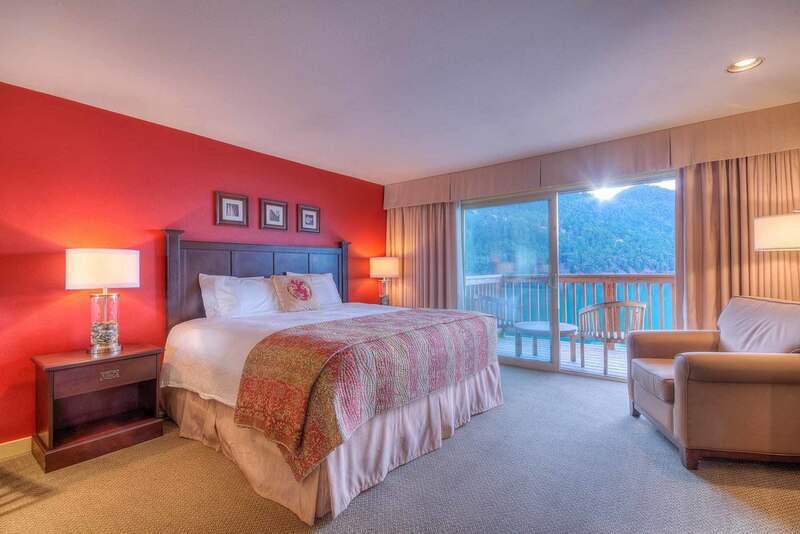 Located on the Hillside with partial water and forest views, these rooms feature a king bed, gas fireplace, large bathroom with jetted tub and separate shower, and a balcony. This room accommodates two. (NOTE: not all Hillside Deluxe King rooms include sofas). 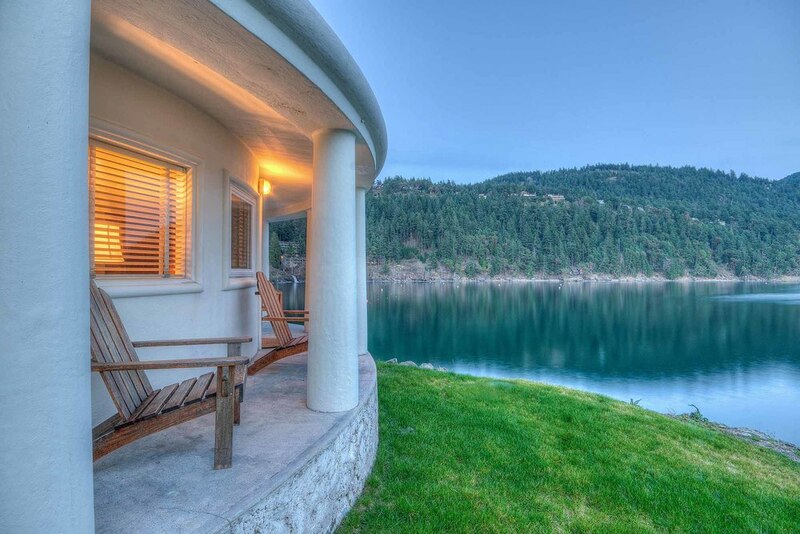 The Residence is a two bedroom suite perched high on a bluff overlooking Cascade Bay and the historic Moran Mansion. Light, bright and finished with custom details and designer furnishings, the layout is perfect for couples traveling together, extended families, business retreats, book clubs, and girlfriend spa getaways. This unit features a full kitchen, living room with gas fireplace, and a large soaking tub in one of the en suite bathrooms. Due to the location of The Residence, a private vehicle or rental car is highly recommended. Two night minimum stay required. Maximum occupancy 5 guests. Non-smoking.